The site on Des Pins Avenue will act as an overflow facility that will accept men, women and people with animals when all other resources in the city are full starting Jan. 15. As of Tuesday, the old Royal Victoria Hospital site on Des Pins Avenue will be open as an overflow shelter for up to 80 homeless men, women and their pets. As temperatures this week sink to –20 C overnight, the temporary shelter will provide a place for people who are turned away from regular centres due to capacity. 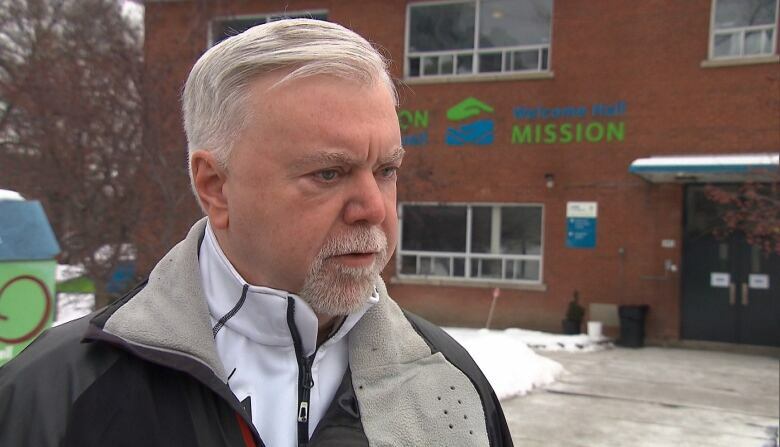 "It's a rare night we don't have a full shelter, all year, regardless of the weather," said Welcome Hall Mission CEO Sam Watts. The Welcome Hall Mission is among those managing that effort alongside the Patricia Mackenzie Pavilion, the Old Brewery Mission and others. Watts said that setting up more shelters is not a solution that will actually resolve homelessness, but it does offer a Band-Aid that keeps people from sleeping on the streets during some of the coldest nights of the year. The 80-bed shelter will be open from Jan. 15 to mid-April and there will be a shuttle bus to transport people up to the Des Pins location. "The people who need shelter overnight will be transported up the mountain in the shuttle bus and they'll be taken care of from there, from 9 p.m. until 7 a.m.," explained Watts. "And then they'll be transported back down the mountain and to various resources for breakfast." Watts emphasized that he was heartened by how quickly this project came together — the time he pitched it and brought everyone together to opening day was about 30 days. 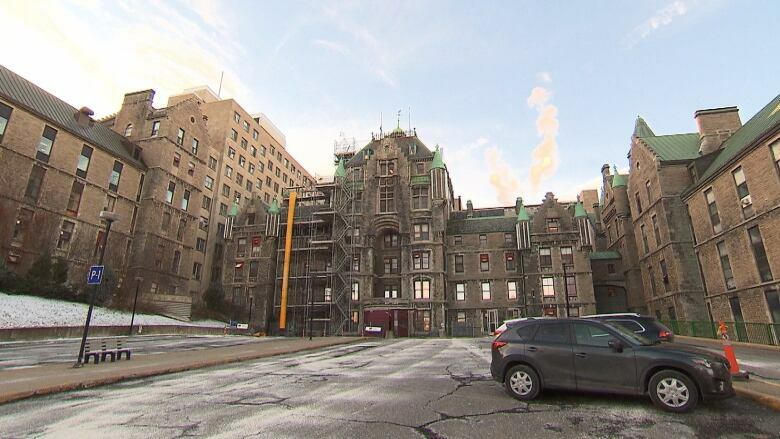 The old Royal Victoria has been empty since the hospital services moved to the new MUHC Glen site in 2015. In June 2018, the Quebec government announced that a portion of the building would be given to McGill University as an addition to its downtown campus, along with $37 million so the school can begin planning the site's transformation.